Before addressing that question, it is worth mentioning that science is not the giver of ‘absolute truth’. That in itself should allow us to develop a healthy sceptism towards the discipline. The ‘truth’ is a tricky thing to pin down. Scientific knowledge is built on shaky stilts that rest on shifting foundations. Science historian Thomas Kuhn wrote about the revolutionary paradigm shifts in scientific thought, whereby established theoretical perspectives can play the role of secular theology and serve as a barrier to the advancement of knowledge, until the weight of evidence and pressure from proponents of a new theoretical paradigm is overwhelming. Then, at least according to Kuhn, the old faith gives way and a new ‘truth’ changes. Philosopher Paul Feyerabend argued that science is not an ‘exact science’. The manufacture of scientific knowledge involves a process driven by various sociological, methodological and epistemological conflicts and compromises, both inside the laboratory and beyond. Writers in the field of the sociology of science have written much on this. That’s why so many doubt science – or more precisely the science corporations fund and promote to support their interests. With its aim to modify organisms to create patents that will secure ever greater control over seeds, markets and the food supply, the widely held suspicion is that the GMO agritech sector is only concerned with a certain type of science: that which supports these aims. Because if science is held in such high regard by these corporations, why isn’t Monsanto proud of its products? 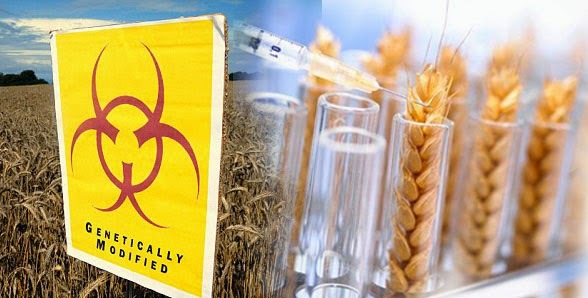 Why in the US doesn’t it label foods containing GMOs and throw open its science to public scrutiny, instead of veiling it with secrecy, restricting independent research on its products or resorting to unsavoury tactics? “As Andrew Neighbour, former administrator at Washington University in St. Louis, who managed the university’s multiyear and multimillion dollar relationship with Monsanto, admits, “There’s no question that industry money comes with strings. It limits what you can do, when you can do it, who it has to be approved by”… This raises the question: if Agribusiness giant Monsanto [in India] is funding the research, will Indian agricultural researchers pursue such lines of scientific inquiry as “How will this new rice or wheat variety impact the Indian farmer, or health of Indian public?” The reality is, Monsanto is funding the research not for the benefit of either Indian farmer or public, but for its profit. It is paying researchers to ask questions that it is most interested in having answered.” – ‘Monsanto, a Contemporary East India Company, and Corporate Knowledge in India‘. Or in the case of releasing GMOs onto the commercial market in the US, bypassing proper scientific procedures and engaging in doublespeak about ‘substantial equivalence’ then hypocritically calling for ‘sound science’ to inform debates. The same corporate interests are moreover undermining the peer-review process itself and the ability of certain scientists to get published in journals – the benchmark of scientific credibility. In effect, powerful interests increasingly hold sway over funding, career progression as a scientist, journals and peer review (see this and this, which question the reliability of peer review in the area of GMOs).